We submit to SV-COMP’15 the software-verification framework CPAchecker. 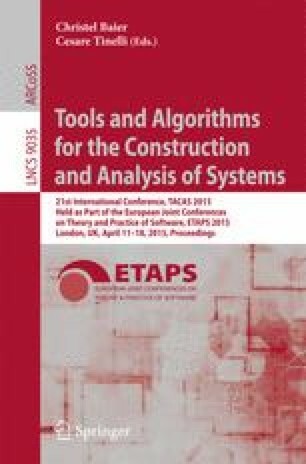 The submitted configuration is a combination of seven different analyses, based on explicit-value analysis, k-induction, predicate analysis, and concrete memory graphs. These analyses use concepts such as CEGAR, lazy abstraction, interpolation, adjustable-block encoding, bounded model checking, invariant generation, and block-abstraction memoization. Found counterexamples are cross-checked by a bit-precise analysis. The combination of several different analyses copes well with the diversity of the verification tasks in SV-COMP.